Havana, Cuba. A place of mystery, old cars, tropical sun, latin dance and of course, cigars. Photographically rich and evocative, and one of the places to visit soon before political and social pressures change it forever. The ideal place for a masterclass. Click on for more details, or if you’d like to register, please send me an email. Reports from previous workshops can be seen here – Amsterdam/ Prague, NYC/ San Francisco, Singapore, Tokyo, Hong Kong/ Macau, Kuala Lumpur one, two and three. The class will be limited to eight participants, last six days, and be held from the 28th of April to the 3rd of May. It takes the form of a masterclass and is ideal for those who would like to develop their own individual photography style and vision further. This means that we will not be spending time covering the basics, or doing group exercises; at this level of creativity, the value comes in discussion, feedback and objective critique of images. There will be more personal attention than the regular Making Outstanding Images workshops. Although the workshop is aimed at participants from my previous workshops, it is also possible to attend – you will just need a small booster course in the form of a few videos. This masterclass is formed of four components: a portfolio review and assignment setting, the practical photographic portion, and final editing/ output. The intention is to cover all aspects of the creative process and professional workflow from end to end. Participants will need to come prepared with an objective of what they would like to achieve, and a portfolio of images which they feel most closely matches that. We will work on bridging the gap, and ideally, taking things further. Recognising that some photography doesn’t work well in groups, nor is an hour per exercise sufficient, we will meet at the beginning and end of each day to review and discuss objectives before individuals go off to photograph on their own. The end output will be a portfolio of images matching your allocated assignment. Transport to Havana is on your own – since it will depend on where you live. Most of the group is staying at the Hotel Saratoga, though again different tastes and budgets will result in different choices. The easiest way to fly in is via Paris, Nassau or Miami. US citizens are welcome to participate, and will have no problem getting in under a General License for professional research. We are using a travel specialist who has assisted with many groups of US citizens visiting Cuba in the past without issue, and he will assist any US citizens in the group with entry and permits. We currently have three US citizens in the group already. There are currently three slots left. Roger Wojahn (Oct 2013 Prague Workshop): When the discussion started up earlier this year about a workshop in Europe, I knew this would include me. It represented just the sort of life disruptor that could bounce me out of my well-worn path and into a new season of growth, exploration and creativity. I knew there would be a diverse group and I was fearful that I would become so consumed with my own negative internal dialogue that it would effect my ability to just let go and truly learn. In one way, I was grateful for those fears because they got me into practicing on a daily basis so I could at least bring my best self to the table. But those fears were much ado about nothing. The workshop, the learning, the process and the experience of each of you transformed what could have been a series of technical lectures over several days into something that was valuable beyond measure. I was able to show up as I am, not trying to be any better or worse, and just surrender to the process of being with all of you under Ming’s tutelage. I can’t tell you how much I appreciate every one of you and your ability to live out of your own uniqueness. What an incredible group and experience. Ming started out the initial session talking about how he was going to help us see differently and teach us about awareness. “Start by finding interesting light”, he said. I was so excited in those first few moments when Ming, marching out in front of us, began showing us the extensive reflections in the cars and on the buildings. This was something that I’d somehow missed in my life and I was truly amazed. But, the more I think about it, the more I understand that there is a reflection of life and of us too, in every shot we make. Photography is multi-dimensional. Life is a co-creation between each of us and the unfolding moment. As we engage that present moment, consciously see it, accept it, and engage it in creative participation, we are learning something about ourselves too. The same holds true for our personal interactions and relationships with each other. We see in one another, some aspect of ourselves. And if these reflections we see are a mirror of us too, then we are all becoming more aware of our oneness and being elevated to our highest and best selves. The practice of photography is not so different than the practice of yoga. Each practice uses consciousness of the present moment to bring us to a relationship with life and with ourselves. As our awareness increases, so does our consciousness. If our focus is on the camera and simply a scene in front of us, perhaps our awareness is mostly limited and we live out of our unconscious. But if we zoom out a few clicks, and actually start to become conscious observers of ourselves as we are choosing, shaping and making our photos, then we are increasing our consciousness and making what is unconscious, conscious. Being not only the photographer but also the observer of ourselves in the very act of our creative process, seems to be very much in keeping with the “context” that Ming keeps explaining to us. We start out isolating subjects within a narrow field of view because are beginners and it make the learning easier. But I suppose as we develop our ability to see, we go ever wider and there is an ever greater context for our world view and ourselves in it. This may be more difficult but must ultimately makes life richer. And so it seems to be less about the photos and more about the practice itself! I’ve been trying to absorb the whole experience but it’s going to take awhile. After those last several nights in Prague with little sleep, I slept like a rock here in Nerja, Spain last night. All night I dreamt of framing things I’d never seen before. But there wasn’t really much a “me” there at all. I was just floating and seeing things and most of the principles we learned were just there and obvious and it was as if I had the unlimited ability to simply play with light, seeing reflections in reflections and balance wherever I looked. It was as though my view-finder could look through portals into other worlds. Everything just made sense, was known and was accessible to me at any time. That dream makes me trust that some seeds have been planted deeply within me. My intention is to water them so they can become real and I can become lucid in my waking dream! I can’t wait to see you all in Havana. I guess in the meantime, we’ll see you on FB and / or on Flickr as part of Ming’s reader’s portfolio. Thank you for the incredible experience! I hope this finds you safely home, happy and in the flow of life. May your practice be everything you hope it to be. Eric Hoppe (Oct 2013 Prague Workshop): I strain to add anything substantive to that which has already been said [by Roger, above] about our brief but impact-laden Prague trip. Nonetheless, the trip had everything a photographer needs, light (Ming), subject (we, the participants), composition (the creation of the individual and group experiences) which led to the story, the memory we created and have taken with home with us. I must say however, I do feel a bit over-exposed from Saturday night’s nocturnal activities … nothing that a bit of post-processing can’t fix! I can not recall an experience with a group of people whom I’ve never met which has had such an immediate, positive and profound influence upon me. Back in the real world today, as I took a break from the world’s casino which is the stock market, I enjoyed yet another wonderful autumn day but immediately sensed something was missing, my camera! Not only was I missing my camera but the same street I’ve walked down countless times the past 15 years struck me differently today; I saw things for the first time, things which I’ve never noticed before but were most certainly always there. So Ming, job well done. One of the most difficult tasks in life is to influence how one perceives his surroundings but in a matter of just a few days, you accomplished just that. Now, to bring that on to a photographic moment … And once again, a big thanks to everyone for sharing your photographic experiences with me and simply enhancing and enriching the entire experience!! Erling Martmann-Moe (Oct 2013 Prague Workshop, in reply to Eric and Roger above): I am unable to add anything meaningful to these poetic summaries of a great experience, both as a learning event (thank you both Ming and each and everyone in the group), and a social event. Hope to se you all soon again! Ian Carroll (Oct 2013 Prague Workshop) – …really appreciated your approach to wrangling a group of grown men in a foreign city and force feeding us education! Very impressive (not that I am surprised…as in everything you show to the world, you are a well-oiled machine – and I don’t mean that to infer “soulless” – such precision requires an appreciation of the whole in all of its potential chaos to extract the core essence). It was a fantastic experience, and I am thankful for the catalytic nidus it will hopefully provide. Great place, great group, great teacher, great weather. Cannot wait for Cuba – my bank manager can go to hell (along with my bank manager!). First day out post workshop, and without the conscious intrusion of shooting for assignment, it already feels as though my photography has kicked up a gear. Cannot wait to go through the images at home (although that means I won’t be in Prague anymore…what a dilemma! :S). Thanks Ming and all for a fantastic experience, I look forward to seeing your cameras’-eyes’-views in the Flickr pool! Update: Well, its nearly 3 weeks since we got back from Prague. I have 64 images in my Flickr Prague set, and another 25 ready to upload. I have had 5 of these explored, including a run of 4 days in a row, 1 commented on favorably, and favourited by, Ming Thein, 3 selected by Getty and one approach to use 1 commercially. All, in all, so far, so good, I would say! I still have…errr…another 375 earmarked for working up and possible use! Oh, and that doesn’t even include the dozens of detail/texture shots! If I were to value the trip based on image hours per £ alone, I would have to say it was excellent value!!! To be fair, it was excellent value any way I might evaluate it! Can’t wait to go again! Thanks again to all the gang for the first 3 days, bring on Havana (I don’t even want to think about what that is going to do to my mouse hand and eyesight)! Jeffrey Egee (Oct 2013 Prague Workshop) – I wanted to reply earlier, but came back to an extremely busy week at work. It was not easy to ease back into my corporate life after last week’s experience – but I think that is a good thing. I just wanted to say thanks to all of you, and especially to Ming. Ming – you were a great teacher and I took away a lot of tools that are helping me to think differently about my photography. I’ve been looking at some of my older photos, and besides now liking them less, I actually understand now what I need to do to make them better. To everyone else, I have never had such an interesting and dynamic experience with such a diverse group of individuals. The entire experience was really the most interesting thing I’ve ever done on my own. It gave me new perspective, not only on photography, and I can only thank everyone here for being a part of it. I really hope we can do something like this next year again. Valerij Tomarenko (Oct 2013 Prague Workshop): I had a very busy week after coming back from Prague, so it took me a while to join the others and say a HUGE THANKS to Ming and everyone in Ming’s Prague “classroom”. For me, it was a terrific experience and I am so happy that I made up my mind to take part in the workshop. I have read quite a few books on photography (probably as everyone else) and lurked a lot on various forums and websites, but for me, nothing compares to this hands-on experience in learning (and enjoying) things about photography and beyond. Ming is such a talented, sharp-minded and – what I am especially thankful about – articulate and methodical person (and artist, of course). I for one, learned such a lot about seeing things, framing/visualizing shots, composing and de-composing (light, subject, inclusion/exclusion)… Let alone acquiring more confidence and getting more insights/inspiration from Ming and everyone in our group. Matthias Gaiser (Oct 2013 Prague Workshop): I can only thank you in return for making this the most intense and at the same time in all probability most inspiring learning experience I’ve ever had. Indeed, if the weather wasn’t overcast, I’d be out shooting already; as it is, it’ll have to wait. And I’ll delve into post-processing very soon in order to make some headway there as well. It *is* worth it. And of course, I have to concur with everything you said about the group – I’d never expected such a diverse bunch of personalities to turn out to be such a worthwhile company. Apart from lots of enjoyable moments, I was able to revise some narrow-minded thinking on my part, making this whole trip personally enriching to an extend I’d never have expected. Furthermore, I’m really happy to report that if the scheduled time frame for Cuba really holds, I should be able to make it. Of course, I’ll have to consider other factors as well, but time-wise, it’d be ideal. Great! Thank you, Ming, and thanks everybody for everything. Diego Defilippi (Oct 2013 Prague Workshop): I’m really honoured to have met you and all the other cool guys. Can’t wait for the masterclass together with all you. Thanks Ming for being so special in your way of teaching Thank you guys for the pleasant time! Felix Leyer (Sep 2013 Amsterdam Workshoo): After our course in Amsterdam I have gone to Oman for a fortnight’s holiday. I had planned to write back to you once I was back home. In the meantime I have sent some of my Omani photographs to my 24 year old daughter in Switzerland. This is what she wrote back: “Your pictures are great, you must make an exhibition. Ming’s course is worth every penny!” I just wanted to let you know this 🙂 ! Putting it in a nutshell: I got much more back than what I had paid for. My expectations were high, yet you managed to exceed them. Not only did I learn a lot, but I was also given an enormous amount of food to think about and to work on for the years to come. The course has also given me strenght on my photographic work and to deal with its results. My daughter spontaneously said last night: “Your style has changed completely, your pictures are far more interesting and versatile. And they have a message”. Arthur van Reijn (Sep 2013 Amsterdam Workshop): Thanks for giving us the opportunity to directly pick your brain. I really liked the build up of the course in clear topics, though the weather mixed up the order for us in Amsterdam. All the topics were building up to this final application of lessons learned. The in-depth talk you gave about the topics and the challenging exercises really have build my confident as a photographer. I really like your honest, direct and to the point feedback on the results of exercises. Though I didn’t plan it I did decided to join in on the Photoshop workflow day, I didn’t regret it one bit! It was eye opening to see that editing doesn’t have to be that time consuming (My mileage may vary in the time bit 😉 ). I really enjoyed the editing process for styles. 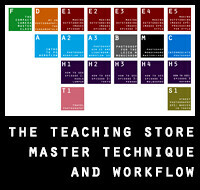 Your workshop has taught me a complete workflow from idea to final image ready for print. I thank you for that! Heiner Pflug (Sep 2013 Amsterdam Workshop): I had wonderful days with you and the rest of the group. You were a great teacher and I am shure that my forthcoming photographs will be becoming better and better. Thank you for assisting and helping. I will be returning back to your special offer on Email School. Mark Jackson (Sep 2013 Amsterdam Workshop): Thanks so much for a really instructive and enjoyable four days. My brain is still at total overload from all the ideas and tips you provided and it is going to take some time to process these and include them in my workflow. At the moment I am concentrating on framing so I don’t crop later, avoiding empty spaces, light and subject isolation. I can see an improvement already and when I can get my head around layering in all the other things there is no doubt that the course will have greatly exceeded my expectations (sorry, couldn’t resist chucking in some corporate mumbo jumbo). At a personal level I very much enjoyed your company as well as that of the other students, it was an eclectic bunch and I think the dynamic worked well (there I go again, soooo ingrained). In addition to being a great photographer you are also a great teacher and I suspect there aren’t that many other people in the market where the same is true. Your blunt assessments, whilst being mildly disappointing at the time, were appreciated later and are actually the only way to learn and move forward. Maarten van Leeuwen (Sep 2013 Amsterdam Workshop): Thanks for the positive round-up mail, and even more so for your inspiring, open, and very informative tutoring. You can already sign me up as an workshop E-student in the near future, hopefully beginning somewhere in the first half of next year. Angsar Trimborn (Sep 2013 Amsterdam Workshop): I just started my tablet wanting to write you a big thank you for four very inspirational days. You definitely kept us on our toes … and it wasn’t the only challenged body part 🙂 Looking forward to go through the ~100 pictures that passed my initial selection process and develop them in 3 different styles. Just kidding … (still might try that with a few) Thanks again for the well structured and executed workshop and for lots of new ideas. Yusuf Haffejee (Sep 2013 Amsterdam Workshop): Ming, thank you, you were a great tutor. It was fun and I certainly learned a lot and I admired your skill and also your patience with us. Rudy Mareel (Sep 2013 Amsterdam Workshop): Hi Ming – I truly enjoyed the two days we spent together in Amsterdam and I’m looking forward to staying in touch. Daryll Ng (Jul 2013 Singapore Workshop): I thoroughly enjoyed it and found everything you taught invaluable. Photography is very much a relaxing pastime for me but I was frustrated with not having any real idea of what I was doing. I have followed your site for quite some time and like your work, so the chance to attend your workshop wasn’t one I wanted to miss. Your teaching style is extremely clear, methodical, easy to grasp and makes sense. Using each part of what you taught brings very clear results. For example, when you asked us to just use lighting or colour or texture to isolate the subject, doing so made an obvious difference to how the photo looked. I think what I found the most valuable was that your teaching style was very much in line with how I absorb information. I also appreciated the fact that, despite the rather large group size, I did not feel neglected! I’d also mention that what you taught also demonstrated that I didn’t need to go out and buy another camera…Thank you very much again for the workshop and for an enjoyable weekend. Andy Cruse (Jul 2013 Singapore Workshop): In the nineties I had a couple of film cameras and a heap of lenses, developed and printed black and white, and even won a few local camera club events. I read all the photo mags and had quite a collection of books. However, my interest waned as I got a new job and worked harder and longer, and so my gear deteriorated due to the humidity and lack of use until eventually it either got thrown out or donated to the local college (the darkroom stuff). Digital was on the way in but the prices were high and the output relatively poor so I pursued other interests. As the resolution/price equation improved I picked up an LX3 for a trip to China in 2009 and then late last year, with a trip to Japan on the horizon, an Olympus OM-D and a few prime lenses. While I was checking out the reviews I came across Ming’s web site and was taken with the quality of the images and his articulate and lucid analysis of all things photographic – not just cameras. I was hooked – I got the “Intro to Ming Thien’s Photoshop Workflow” DVD and then downloaded the Compendium, the Intermediate course and a few of the shorter tutorials. I purchased Photoshop, a Wacom tablet and started processing my images. In June I started a Flickr account and uploaded about 100 images. In the lead up to the workshop I decided to test the water and submitted 7 of those images over a couple of days to the mingthein.com reader group. Two were accepted – Ming, you are too kind. I looked again at the 5 that were rejected and figured out why. I looked at my Flickr Photostream again, re-read a few of Ming’s articles and then culled about 30 or so images. I could see that most of them were not very good, whatever my emotional attachment to them. Sorry for the preamble, but we are about to cut to the chase. I thought I knew something – I had all the tools I needed and my camera was sent to A, not P, so I must know what I am doing, right? Wrong! My wife sent me message on Saturday night – What did you learn? I replied – That I knew nothing about photography. I must admit I had read many articles where leading photographers all said the same thing – it is all about the light. To my mind that had always meant waiting for kind light – in the tropics that means early morning or late afternoon, but that is not it. I put the OM-D into Manual mode with spot metering on Saturday morning with Ming explaining why and how, and everything changed. I have a LOT of work to do on the composition aspects of the workshop, and I felt quite devastated by Sunday night that I was not getting the results I was wanting. I compounded it by going out again on Monday with only a new LX7 that I had barely shot with previously – that camera is seriously hard to use in Manual mode! After 20 or so frames over a few hours I returned to the hotel room to get out of the heat and prepare for my trip home. With a couple of hours to kill I reluctantly got the Mac and tablet out and started going through my output of the weekend. Yes, compositionally and interest wise they were pretty woeful, but I was amazed by the shots that we took from the rooftop on Sunday afternoon – in the brightest and most intense sunlight that I always avoided there were real details and tonal range in my shots that I had never realised you could get in those conditions. Then I clicked on a link from Bellamy’s Japanese Camera Hunter site to some street photographer, and the images that had previously seemed completely random ALL complied with the things that Ming ran through with us – the use of light and framing/composition were all deliberate. For the first time I could really understand why they worked. And of course why most of mine didn’t. Things were falling into place. I had put the cart before the horse – you can’t polish a turd as they say, so no matter what the post processing skills and the resolution of the camera/lenses, unless the fundamentals are right those things are are irrelevant. So a new beginning – a line in the sand. My Flickr Photostream is now down below 50 and should probably be closer to 5. All GAS interest has been put on indefinite hold. The dial on the OM-D is set to M until it dies. And I will work on the composition aspects until they are second nature. So thanks for the workshop Ming. You can read all the texts you like but the practical implementation of the fundamentals is the best way to learn. Justin Tan (Jul 2013 Singapore Workshop): Thanks very much Ming, really enjoyed it. Since moving here to Singapore, this is the 3rd workshop I’ve been on and perhaps the most unique one. I actually walked away feeling like I learnt something concrete, something I could write down (and thanks to Philips for sharing his notes as well!). I know photography is not supposed to be completely rigid or structured, but I always felt I was lacking a logical framework to use as a foundation, and I got that from your workshop. Look forward to your next workshop in the region. SL Yoong (Jul 2013 Singapore Workshop): Thanks very much for holding the workshop. I enjoyed it very much, though it was really hard work! Currently suffering a strange side effect of looking for lines/ light/ shadows/ quadrants/ frames everywhere… Can’t seem to switch my eyes off! Thanks for helping me “see” things differently. Andy Sim (Jul 2013 Singapore Workshop): Thanks! I’ve learned much. Mark Ortega (Jul 2013 Singapore Workshop): It was certainly a lot to internalise in 2 days but it has definitely sunk in! Most of it anyway. Many thanks for offering the Singapore workshop and I am likely to take the next step by signing up for your e-mail school of photography or portfolio review once I am able to put theory into practice and make it second nature. Christine Cheng (Jul 2013 Singapore Workshop): Thank you for your generous sharing over the weekend. I shall endeavour to incorporate your nuggets of wisdom into my future shots. Syed Shibli (Jul 2013 Singapore Workshop): Thanks for the great course, I really learned a lot! BC Chua (Jul 2013 Singapore Workshop): Hi Ming, I just wanted to say thanks! I shot more and better pics this past 2 days than I have shot all year round. I have been taking the same picture looking out my apartment window for years. After the course, things look different. Now everytime the light changes, I see something new. Chris Suan (Apr 2013 NYC Workshop): I have recently been reflecting on the workshop and my picture taking. I seem naturally to be gravitating toward the principles of your class. Because I never had any real instruction prior to your class, your principles filled the vacuum nicely so that I naturally reach for the structure of your instruction. In other words, in the absence of other competing instruction, my mind seems naturally to gravitate toward what you taught. Thanks! Peppo Aragon (Apr 2013 NYC Workshop): Fantastic workshop. Tks Ming. Hopefully you can come to Panama some day. Peter Boender (Apr 2013 NYC Workshop): The workshop is highly instructional and valuable. The learning curve is steep, but (and someone already mentioned this) if you have an open mind and approach you will learn a tremendous lot. I really liked the deconstructive approach: it’s a bit like starting all over again and built from there with basic elements from an artistic and compositional standpoint (you should know your technical stuff and camera specifics). Finding good light and using (natural) compositional elements (leading lines, framing, mirroring for a second story) really forces you to look with your eyes again, and not so much with the camera. After the course I did notice a change in my photography and my approach to shooting: I now look much more consciously and with more predetermination about my desired results. Quite a feat for such a relatively short course, which for me made it invaluable! Great job Ming, I really did enjoy my time in NYC with you and the other participants. Seriously and highly recommended! Andrew Marrero (Apr 2013 NYC Workshop): I had a great time getting to learn from you was well as getting to meet both you and your wife. I’d love to be able to join you again in the future with camera in hand. I had a blast, would love to get with you again soon Ming! Jim Lozier (Apr 2013 NYC Workshop): Thank you again for an excellent workshop. In looking over the images I took over the course of the two days I can definitely see a progression which is pretty amazing for such a short period of time. I hope that you enjoyed your time in the states and have a smooth trip back home. Dr. Paul Lewis (Apr 2013 NYC Workshop): Thank you for sharing your vast knowledge of photography with our group of nice people. I enjoyed meeting everyone and the amount of instruction that was presented during the three days. I would need at least two or three more workshops to get all the information that was given…Your workshop exposed me to a lot of things that I knew nothing about before attending…If I live long enough, I would certainly attend your workshop again. Thank you very much for sharing your knowledge with us. I had a good time. Chris Suan (Apr 2013 NYC Workshop) : Thanks for a great workshop. I really feel much better about knowing how to take some great pictures. Jed Best (Apr 2013 NYC Workshop): I just wanted to thank you for a very interesting and informative three days. While I may not have showed it, it was great and I learned a lot. Hopefully, if ever I am in Asia or you are NYC again, I can take another workshop with you. In the meantime, I look forward to reading your blog and site assiduously. Jill Maguire (Apr 2013 San Francisco Workshop): Ming, I had a great time at your workshop and learned so much. Safe travels home for you both. Jesse Hall (Apr 2013 San Francisco Workshop): Thank you, Ming! I did learn a lot — although I’d read what you’ve written about these topics, spending real time practicing specific things and getting feedback helps much more than reading. Plus, it was a lot of fun! Ciao Pui (Mar 2013 San Francisco Workshop and Apr 2013 NYC Workshop): Sitting next to Ming in San Francisco while he was processing these photos, I can attest that his “judicious application” [of Photoshop] is faster than using any presets, not to mention consistency. His workshops will demystify and challenge your views on photography… if you’re open. Dale Perlman (Mar 2013 San Francisco Workshop): I really was stimulated by your workshop to re-think the fundamentals of making an image. From such a reassessment I find myself thinking about my own photography in a fresh, challenging way. I am optimistic improved images will be the result of this process. Keep teaching! Richard Sandor (Mar 2013 San Francisco Workshop): A short note of thanks for having provided such an informative workshop. I’ve been to a number of workshops, but none have had the structure that yours did. Leslie Gleim (Mar 2013 San Francisco Workshop): First let me say thank you very much for truly pushing my work and thinking around how to use the language of photography! I did want you to know that you made Photoshop more understandable than any person whose tried to explain/teach it me. It seemed FAR more intuitive — today was mainly me figuring it out and playing!! Thank you so much for your insight and help! Safe travels and thank you for making the journey over! Your workshop was invaluable and I learned to look through “new” eyes. Awesome! Azhari (Nov 2012 Melaka Workshop): Truly a work of a master! Love them all. Glad i attended this workshop and had the opportunity to see how the master did it. Thank you very much Ming. Erwin Kindangen (Oct 2012 Tokyo Workshop): I had a great time there and my photography definitely improved after the workshop. It taught me how to “see” scenes and what scene would actually make a good photo and not just randomly shooting at people. Plus the basic wizardry of Photoshop at the end of the workshop definitely ties it all up. In the meantime, I’ll keep perfecting what I’ve learnt before I jump to the next workshop (I hope there will be a follow up). Andrew Yaw (Sep 2012 Finding Light workshop, Kuala Lumpur): It was an awesome day out. Second round of beating from the master after the ‘Making light workshop’ . This workshop changed my perspectives on street photography. Looking at not only the life around you but also the architecture, reflections, natural frames and much more. I have never walked around KL that much before. I plan to do it again alone this weekend. Who says you need to travel far to take pictures? The challenges were all interesting and some tough to train us into seeing things in ways never before. It really sort of reminded me of the “Wax on, Wax off” training technique in ‘Karate kid’. Lol. Really, for me it was. Especially the part where we had to shoot with our 2 second timer on and stage the subjects on a particular part of the frame. Epic fail at 1st. After a while though you slowly learn how to anticipate the subject’s movement and then.. ‘click’. Success! and then again and again. It was a full on day with tons of learning and perceiving. Ended the day at 8 PM after a slight debriefing and chattering in a cafe. Thanks Ming for a great day out. Can’t wait for the next one. Have a great time in Japan. Andrew Yaw, (Sep 2012 Making Light workshop, Kuala Lumpur): Excellent workshop! Great teachings from honing the basics of photography to managing light in a controlled environment followed by hands on guidance while shooting the model for the day. The day ended with a bonus. The shared knowledge of the art of printing which is a totally different ball game. Went home feeling overwhelmed with awesome knowledge and information. Thank you Ming for sharing so much of your knowledge to all of us! Can’t wait for the next workshop! Ciao Pui (Sep 2012 Making Light workshop, Kuala Lumpur): What a great day! Between the inspiring morning session studying Ming’s jaw-dropping photos and an amazing afternoon shoot with the gorgeous (and funny) Aliza, what Ming didn’t mention was the mouth-watering Malaysian Beef noodles lunch he took us to across the street at the road-side stall! I’ve been reading this blog for months, but I didn’t realized how much more I could learn in person until I took his recent workshops. For example, I’d have missed out on the important training where he raised both arms (see pic #13) waving them vigorously while shouting “Light on, light off” to perfect my shooting methods. Ok, just kidding about the above. On a serious note, the man is a machine! He got in way before everyone else (I know because I arrived an hour early). Then he spent the whole day teaching, instructing, demoing, shooting, working with model, showing his equipment, while tirelessly and patiently answering every questions the workshop participants had, not to mention the 2-hour impromptu print demo/admiration session after the workshop. Great value, great company, great images. I would take his workshops again. Highly recommended. Hi Ming, signed on for the class, When we meet up in La Habana, I’ll have to take you to the spot where Compay Segundo once rolled me a puro…. I just came back a week ago from a nice trip to Cuba. I planned on going to La Havana, but unfortunately, I did not get the chance to see it. Stayed in Varadero, where I had the opportunity to shoot a bit. You can see some of the pictures here: http://blartphotographe.com/varadero-essai-photo-partie-1/ I am sure that you will find plenty of good occasions to make wonderful pictures. The people of Cuba is amongst the friendliest on Earth. I will be looking for your work with great interest since I plan on staying in La Havana in a near future. One day I will give myself a present in form of such a workshop. One day I will. Have fun! The Fabrica José Martí is the center of the universe. Having set fire to some of its production today, I can agree with that wholeheartedly. Developed a very nice pattern working there a long time ago: Hoyo, Romeo, or Monte on weekdays, Partagas on Saturdays, Cohiba on Sundays. Like all Very Good Things, none are necessarily ‘better’ but the variation and pace worked out well. Roger: If its as amazing as we know it will be, that night in the Argentinian steak place in Prague will be seen as a pivotal moment! Havana baby! Yeah! Nice example of the proper cigar grip. Havana! Woot woot! Your website is a fantastic resources and I have learned a lot from you. You are very meticulous in getting rid of every piece of dust on a watch. 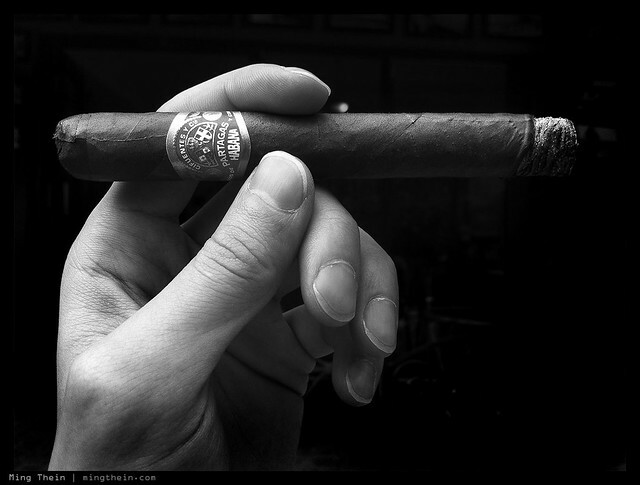 yet the hand in the picture could use a cuticle trim or some basic nail treatments, because the cigars and your photography are too good to be deteriorated by something as simple as that. Nice job on the casual iPhone shot! Bingo!